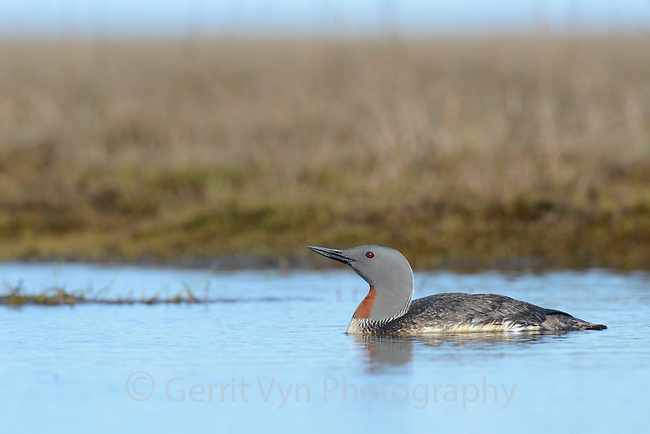 Adult Red-throated Loon (Gavia stellata) swimming in a tundra pond. Yukon Delta National Wildlife Refuge, Alaska. June.